Eights or better is also know as Seven Eight, Stud Eight or Stud Hi/Lo and is the most common form of Hi/Lo poker. The game is played similar to Seven Card Stud, with the exception being that the pot is split between the players with the highest winning hand and the player with the player with the lowest hand, if the lowest hand qualifies after when all 7 cards have been dealt. Eights or better can be played on its own and is featured in many top online casinos or it can be played as part of HORSE. Before play can begin all players must ante a nominal amount. The exact amount depends on the limits, but this will be displayed in the title bar of the game if you are playing online or called by the dealer in land based casinos. Following the ante, all players are dealt three cards, two of them are faced down and one is faced up. The player with the lowest faced up card is the ‘bring in’ and must therefore make another nominal bet, which again depends on the overall limits. For example; if the limits were $1/$2, the ‘bring in’ would be 0.50. The round continues until all players have acted upon the first bet. The ‘bring in’ bet is the only time when the card suit values come into play. The highest suit is Spades, followed by Hearts, Diamonds and then Clubs. So if one player has a two clubs and another player has a two of hearts, then the player with the three of clubs would make the ‘bring in’ bet as they held the lowest nominal and suited card. Three more rounds of betting will now take place following a fourth, fifth and sixth card. 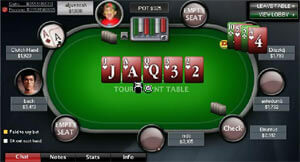 All cards are dealt faced up and with each round it is the player with the highest value card that starts the betting. The final seventh card is dealt faced down so that only you will know what it is. A final round of betting then takes place, started by the player with the highest value cards and then the remaining players must show their hand. A hand must be made from 5 cards. For instance if you have 5, 6, 4, 7, 7, 4, 5 you do not have three pairs, your best hand would be two pairs – fives and sevens with a six kicker. If you are lucky enough to have a great Hi hand or there is no winning lo hand then you will win the entire pot. A good low hand cannot have any pairs and all cards used must be lower than, or equal to an 8.